Hoo boy! 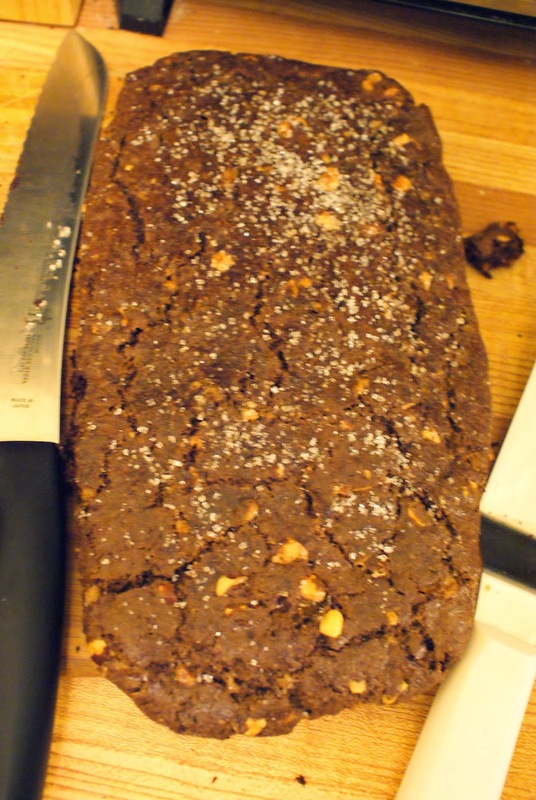 I am giving you the recipe for one of the most delicious cookies in my arsenal! …hmmm, arsenal….why does that word look so RUDE? 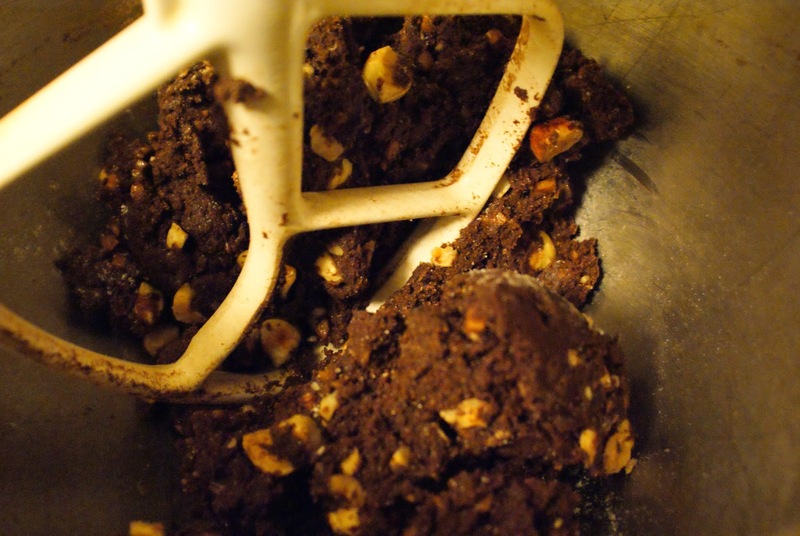 I don’t want to talk about cookies in my arsenal….I think I need food. My mind wanders when it’s hungry. Back to the point! 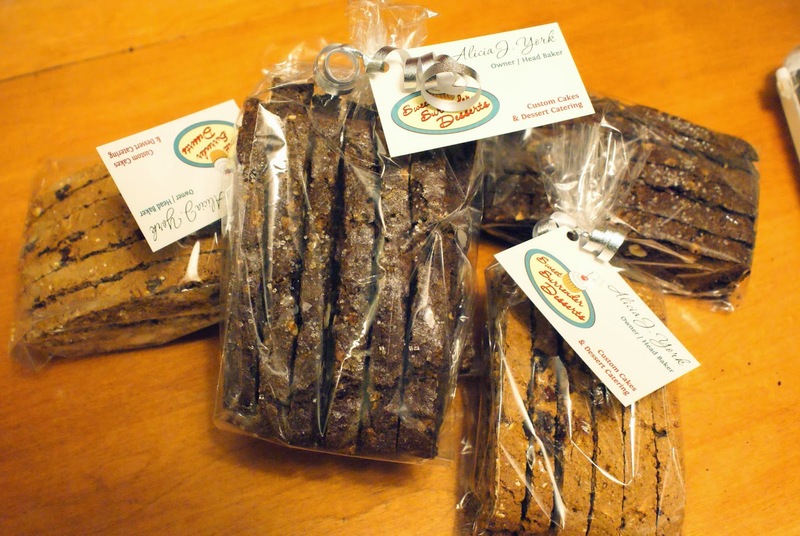 Yes, these biscotti are frelling delicious! They are so deep, dark and chocolatey, and the toasted hazelnuts work well with the toffee and chocolate….it’s like a grownup’s Nutella With a little twist. 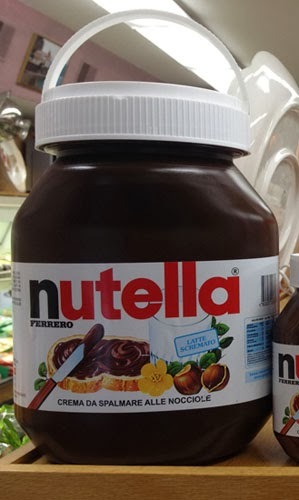 This is a 5kg jar of Nutella. WTH. Although from what I’ve seen of those friends around me who grew up with Nutella and are still horribly addicted to it to this day, Nutella is the grownup’s Nutella. Doing a quick, casual Google image search for Nutella indicates that people are deeply bug-nutty for this stuff. I was brought up in a British household, peeples…the closest I ever got to Nutella was peanut butter. I had never even heard of hazelnuts until I was in my twenties. Preheat oven to 350 degrees F (177˚ C). To toast hazelnuts: spread on a baking sheet and bake for about 15 minutes or until lightly browned and the skins begin to blister and peel. Remove from oven and place the nuts in a clean dish towel. Roll up the towel and let the nuts ‘steam’ for 5 minutes and then briskly rub the towel (with nuts inside) to remove the skins from the nuts. Cool and then chop coarsely. Reduce the oven temperature to 300˚ F (150˚ C). Line a large baking sheet with parchment paper. 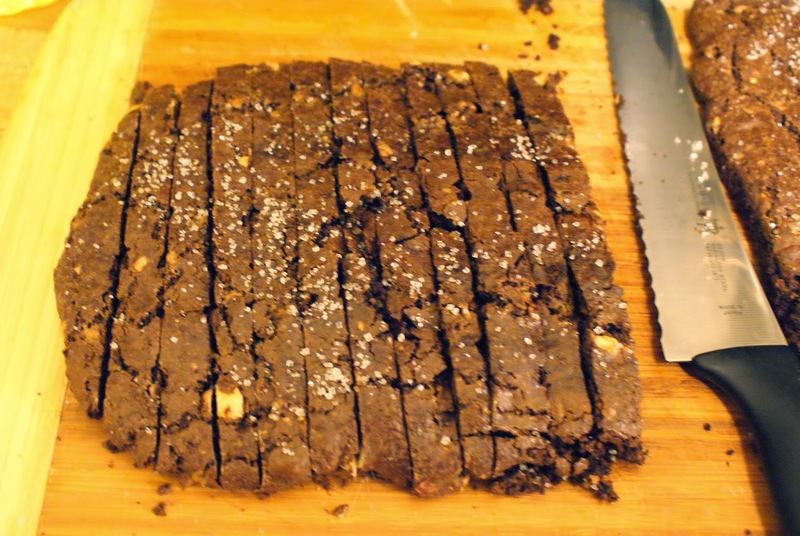 In a food processor, fitted with a metal blade, place the coarsely chopped chocolate and brown sugar and process until the chocolate is very fine. In a large bowl, sift or whisk together the flour, cocoa powder, espresso powder, baking soda and salt. Beat the eggs and vanilla extract until combined (about 30 seconds). Add the chocolate/sugar mixture and the flour mixture and beat until a stiff dough forms, adding the hazelnuts and toffee bits about half way through mixing. Scrape bowl and, with floured hands, divide the dough in half. On a lightly floured surface roll each half into a log about 10” long, 4” wide and 1” tall. 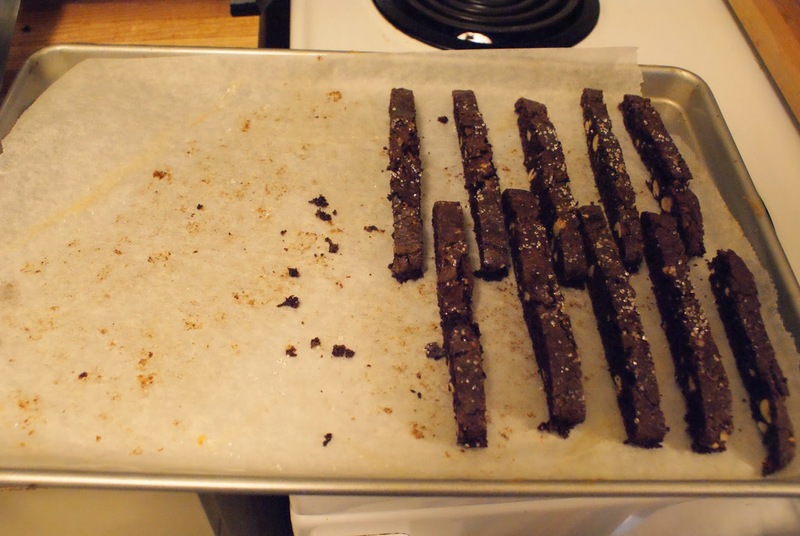 Transfer the logs to the prepared baking sheet, spacing about 3” apart. Lightly whisk the egg white with a tablespoon of water, and brush over tops and sides of logs, coating sparingly but evenly. Sprinkle both logs immediately with sanding sugar. 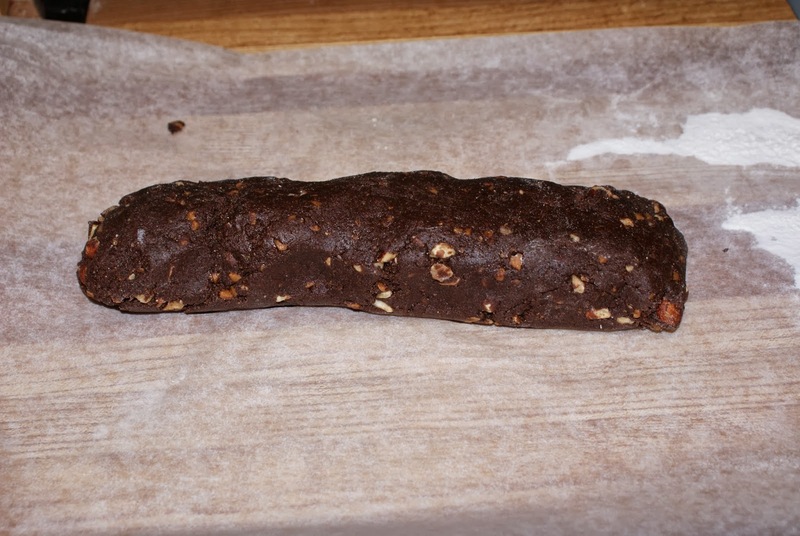 Bake until almost firm to the touch, about 35 – 40 minutes (logs will spread during baking). Remove from the oven, place on wire rack, and let cool for 10 minutes. Using a long spatula transfer the logs to a cutting board. Using a serrated knife cut the dough into slices 3/4 inch (2 cm) thick. Arrange the slices standing on-end on the baking sheet and bake 15 minutes. Rotate the baking sheet(s) and bake for another 15 minutes, or until crisp and dry. Remove from oven and let cool on wire rack.